In fact, translating the Bible is the perfect way for a missionary to lose the position of expert, even if he or she is still appreciated. 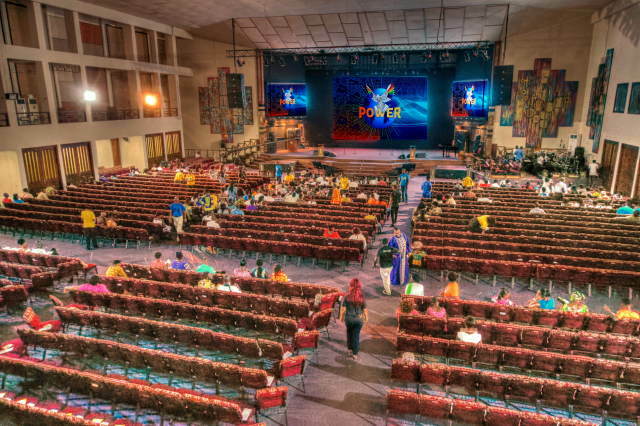 Earlier this year, I took American friends to the very large church of well-known Pastor Mensah Otabil in Accra, Ghana. He said that his ministry focuses on raising up leaders. He defined a leader as a self-directed individual. I took that to mean someone who takes responsibility before God for his or her actions. Someone who is not dependent on others in an unhealthy way. Someone who has confidence in God and in the Holy Spirit within. Otabil said that he did not want the members of his church to depend on him for every little thing. I have not come to create beggars but to make men Sons of God. The members of the church McKeown founded still quote that today to encourage themselves to take hold of the responsibilities God has given them. Research into the impact of translating the Bible into African language has found that those who read the Bible in their own language take more initiative. They are more likely to witness to their neighbors and to start small businesses. Women speak up more in their families and churches. They are more likely to resist pressure from the proponents of traditional religious practices. They become self-directed individuals, as Otabil put it, or children of God as McKoewn put it. When we translate, we joyfully and deliberately undermine our authority by putting people in direct contact with a much better authority.